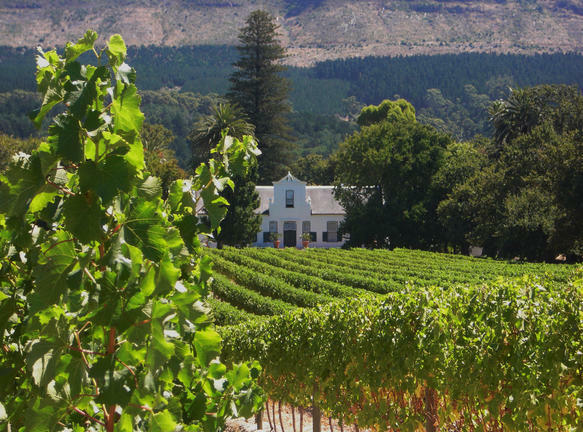 Enjoy a morning or afternoon in the beautiful Constantia Valley, the oldest wine producing region in the Southern Hemisphere. 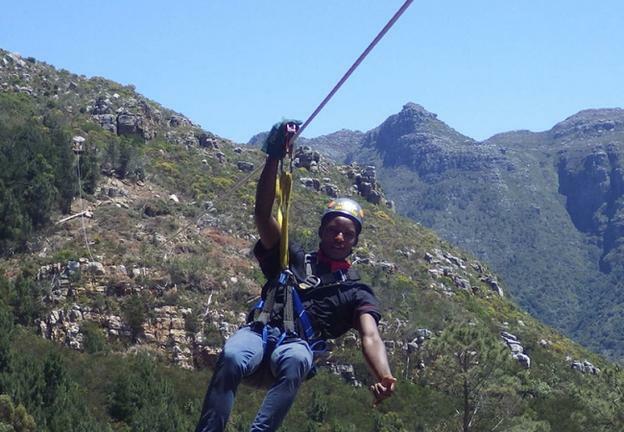 An exciting zip lining experience over the mountainside tree top canopy, followed by two wine tastings at two different award winning wine estates. 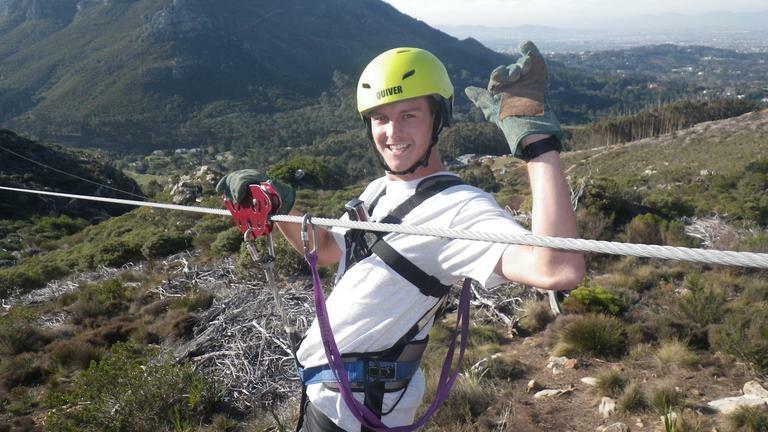 The Constantia Zip and Sip takes you on a fun-filled adventure through the heart of the Constantia Valley, where you will taste some of the local wines and take in the incredible views in one of the best ways possible...by zipline! 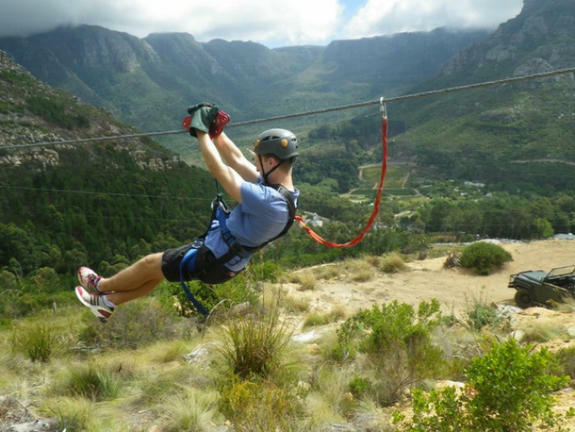 Soar above the beautiful fynbos as you complete a thrilling zipline course located at the Silvermist Estate in Constantia. Celebrate your successful day of adventure by enjoying two wine tasting sessions at local wine farms. This is a great way to spend a day out for travelling couples, families or corporate groups! Joining this tour couldn’t be easier as there are several pick up points for you to choose from. For those staying closer to the centre of Cape Town, you can be collected from the CBD, V&A Waterfront and Atlantic Seaboard area. Guests staying in the Southern Suburbs can be picked up from Constantia, Bishopscourt and Tokai areas. 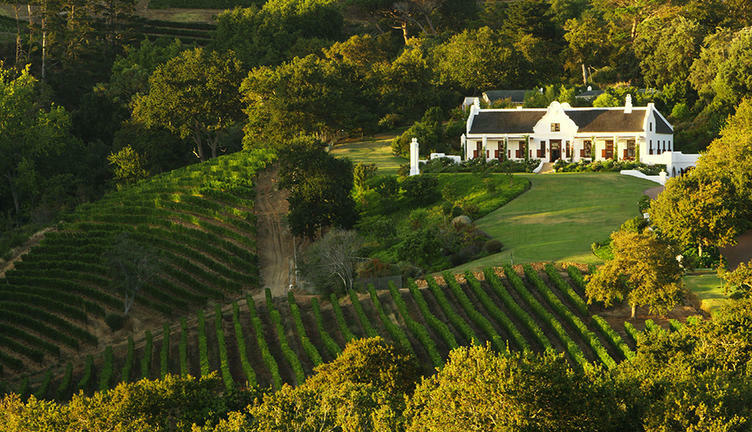 You will be collected at your Cape Town or Constantia based accommodation by your guide in the morning after breakfast, or in the afternoon after lunch, and will drive to the Silvermist Estate. The adventure begins with a brief safety introduction and demonstration at the office. At this point your day will be like no other. 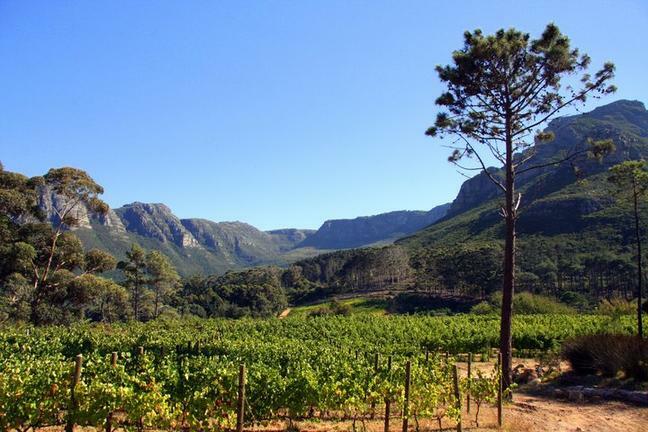 Depart on a “hair raising” guided 4x4 drive into the mountains, high above Constantia. Enjoy some spectacular view of the valley below. 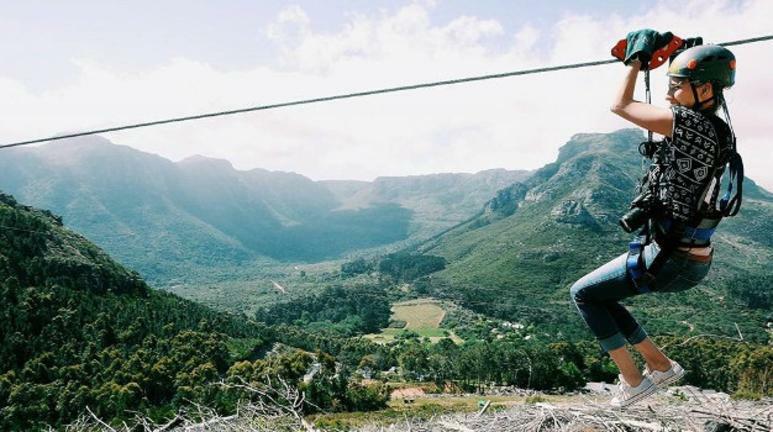 You will embark on this Zipline “journey” of 11 platforms and 7 very long cable towering high in the mountains, overlooking the beautiful Cape Town. You will start your descending journey down this large canyon on one of the shorter cables - 270 meters long! All the platforms offer you spectacular panoramic views of the city. You will not only enjoy the zip lining, but will also be walking within these magnificent mountains, giving you an opportunity to take in the beauty around you. You will return to the base by 4x4 vehicles. From here you will go onto two well-deserved wine tasting at nearby estates before being dropped off back at your accommodation or at a recommended lunch or sunset/dinner venue. An average fitness level is required. You should not have a fear of Heights - if the tour starts and you are not able to start the tour, you will unfortunately have to walk a distance to get back to the base. You should not have any heart conditions or physical disability - consult your GP if unsure. No children under 6, no pregnant ladies and no one over 120kg. No Skill is required to participate - you will have to follow guides instructions and the guides will assist you to ensure you have a memorable experience. We do some times experience windy conditions on the mountain but once again the guides will assist.